Spicy and savory, this salad is delicious with shredded chicken and cabbage and hints of basil and mint in every bite. 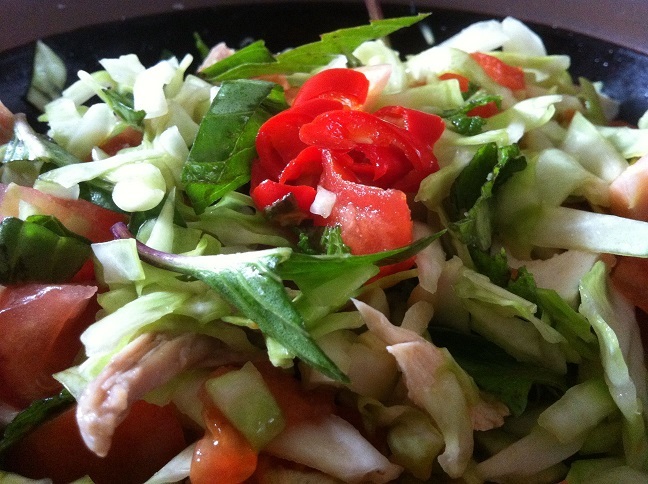 Vietnamese Chicken Salad is perfect as a meal for an individual or as a starter to any dish. I wanted to share a Vietnamese dish with you today. 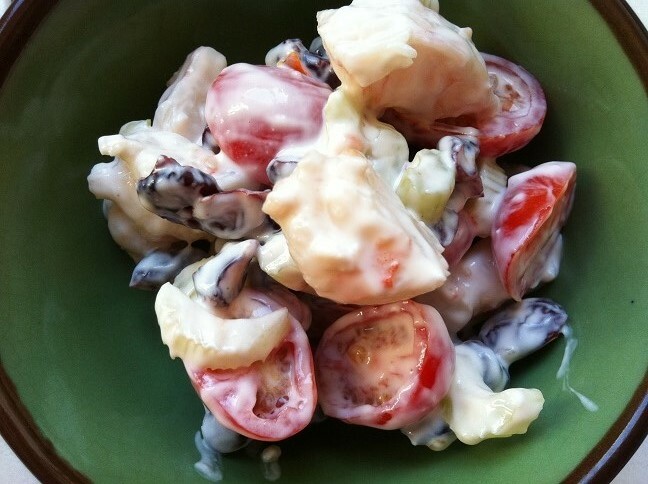 I grew up eating Vietnamese salads similar to this one. Asian salads tend to be very savory because of the addition of fish sauce. This salad is no different. Traditional Vietnamese Chicken Salad, called Goi Ga in Vietnamese, usually includes thinly sliced cabbage, sliced chili peppers, shredded chicken, torn mint and basil, and sometimes carrots and onions. These salads are usually topped with crushed peanuts and drizzled with fish sauce and lemon or lime juice. 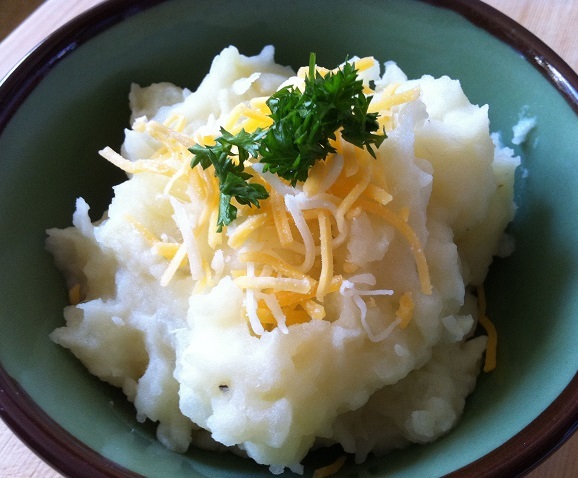 Creamy mashed potatoes with a hint of garlic and lemon, a great side with any entrée. 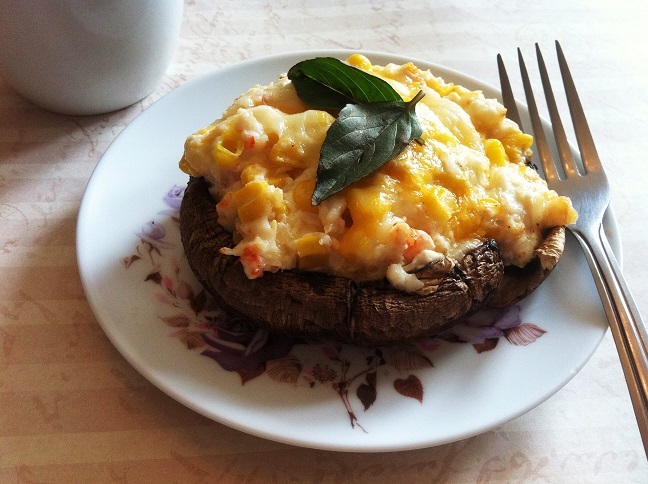 Delicious and healthy, you’ll want to make this recipe over and over again. Sweet and slightly sour with just a hint of spicy, this salsa will be a hit at any party. Bursting with so many flavors, it is a delicious dip with any chips. It’s spring! Which means there are so many fresh fruits at the supermarket. 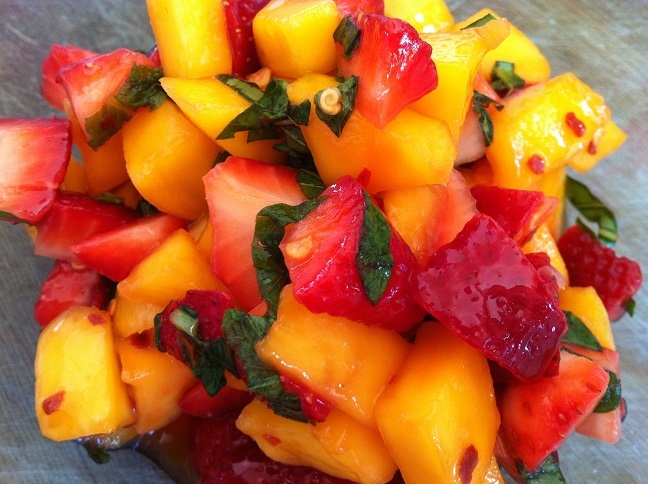 One of my favorite combinations of fruits is strawberry and mango. It’s so tropical, isn’t it? The vibrant colors remind me of the sunset during a warm summer day. This salsa is not only pretty in color, it’s very tasty too. Filled with chunks of strawberries and mangoes, basil and mint, the juice of one lime, honey, and a little bit of red crushed peppers, it is an explosion of flavors on your taste buds! Once you try it, you won’t want to stop eating. A simple yet delicious salad filled with shrimp, dried cranberries, and walnut in every bite. Lightly covered with Greek yogurt and lemon juice, this salad is both healthy and flavorful, a great side dish to any entrée. This salad is so simple to make that it almost isn’t even considered cooking. The hardest part of this recipe is boiling the shrimp. It’s that easy. 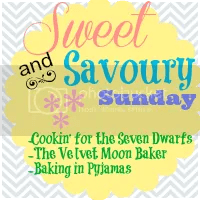 The rest is all about chopping up ingredients and mixing. 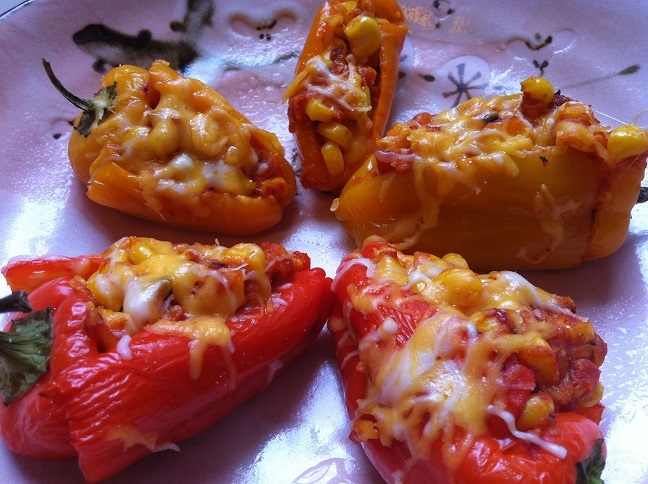 Mini sweet peppers stuffed with corn, cheese, and tomato sauce. Each bite is cheesy and slightly sweet, perfect as a snack between meals or as a side to any dish. These mini sweet peppers are so delicious; it’s hard to resist after just one. Stuffed to the brim with corn and cheese, each bite is so satisfying. These peppers taste just a little bit like pizza. Or at least, that’s what my sisters told me when they tried it. With just 5 ingredients, this recipe is so easy to make and definitely worth the wait. It can easily be doubled and tripled too for more guests. 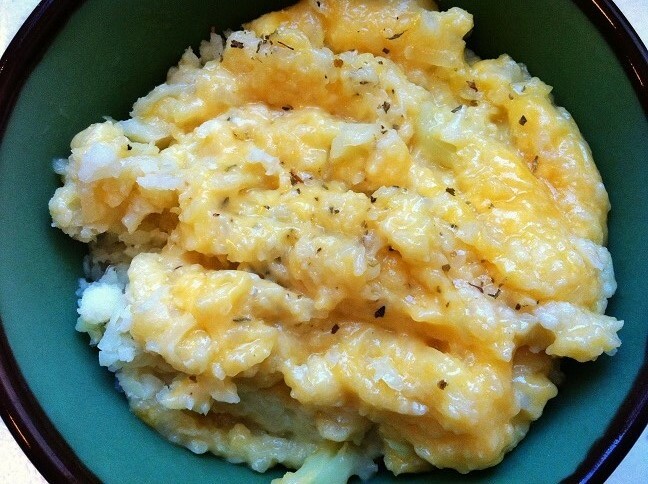 Cheesy mashed cauliflowers that taste like mac and cheese yet has texture similar to potatoes. 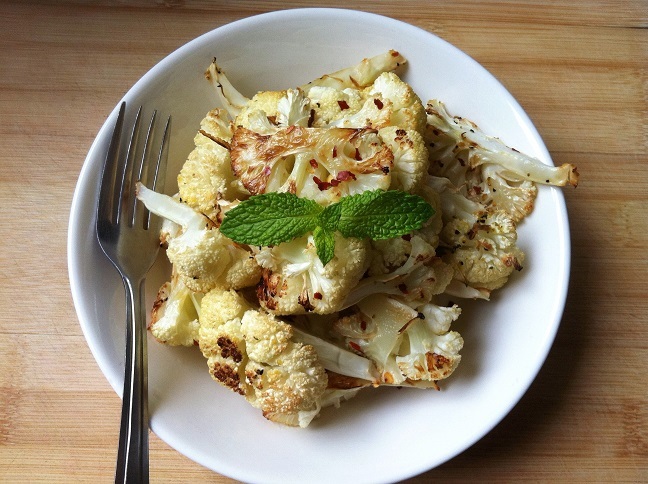 Delicious and healthy yet still quick and easy, this is a great side to any main dish. Okay, so I know these photos aren’t the best, but this recipe really is tasty. I’ve eaten it twice already. Roasted asparagus covered with aromatic garlic and melted mozzarella cheese, a delicious side that can be paired with any main dish. 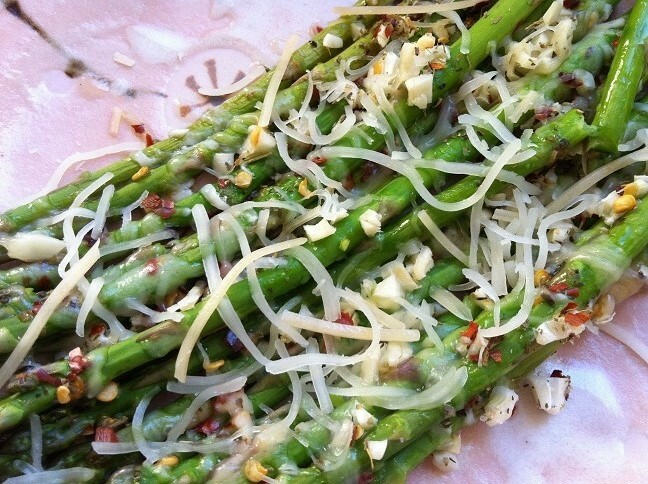 I’m currently obsessed with asparagus. Can you tell? But no worries. This will be the last asparagus post for awhile. I don’t want everyone to be sick and tired of it so soon. Melted mozzarella cheese and warm creamy garlic sauce over breadsticks, a perfect side to almost any dish. I know, I know, these breadsticks look a little plain in the photos. But believe me, they are soo tasty. 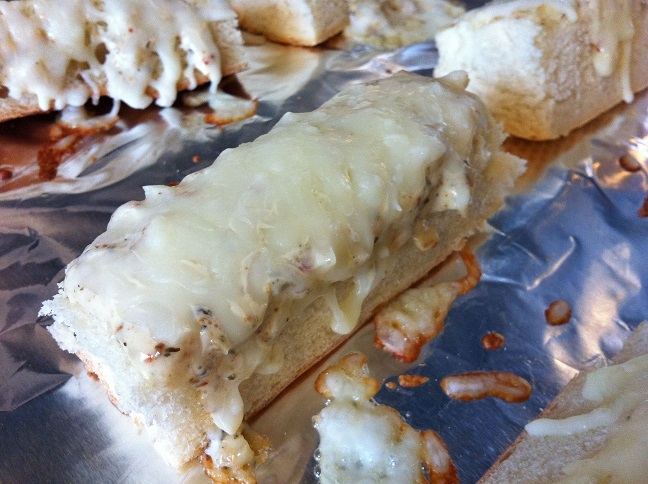 Creamy white garlic sauce and melted mozzarella cheese on bread? What could be a better comfort food? These breadsticks are super easy to make and they’re perfect as snacks or as a side to many dishes.